Meet Nathan Drake, a legendary treasure seeker, adventurer extraordinair and above all a funny guy who can handle himself. For those of you who don’t know Nathan, be ashamed, the Uncharted series is in my opinion one of the best Playstation exclusives ever and hopefully the guys at Naughty Dog can deliver the same quality with the upcoming Uncharted 4: a thief’s end. Uncharted: the Nathan Drake Collection gives us all 3 originals from the Playstation 3 era in Full HD and at 60FPS. The original games are completely rebuild by Bluepoint Games, who added more than 65 improvements to the original games we love. Amongst these changes are a completely new controller layout, Motion Blur effects, brand-new throphies and all new difficulties. The only thing missing to make this package complete is the Playstation Vita title Golden Abyss. Did I mention the collection comes with the Uncharted 4: a thief’s end Beta? Well it does. The Uncharted 4 Beta will start December 4, 2015 and will run untill December 13, 2015, can’t wait! Uncharted: the Nathan Drake collection is a must have for all Playstation 4 owners. From the groundbreaking storytellers at Naughty Dog, comes the genre-defining epic that revolutionized adventure storytelling, rebuilt by Bluepoint Games with the power of the PS4 system. Experience one of the most revered game series of all time as you follow the perilous journey of Nathan Drake across the globe, from humble beginnings to extraordinary discoveries. Meet an unforgettable cast of characters as Drake puts life and friendship on the line in a race against ruthless enemies to uncover unimaginable treasure. 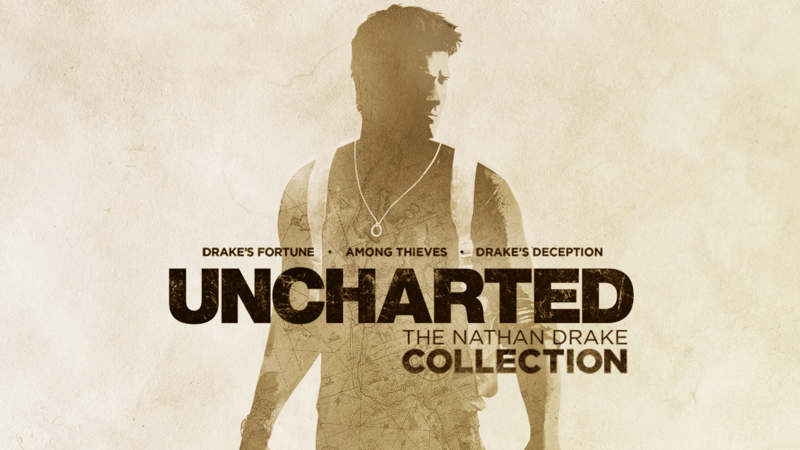 UNCHARTED: The Nathan Drake Collection includes the singleplayer campaigns for UNCHARTED: Drake’s Fortune, UNCHARTED 2: Among Thieves, and UNCHARTED 3: Drake’s Deception. Unparalleled Story – Play as Nathan Drake across a trilogy of thrilling, white-knuckle adventures. Experience Drake’s relationships with those closest to him, as he struggles to balance adventure and family. New Trophies – Brand-new trophies created exclusively for UNCHARTED’s debut on the PS4 system.